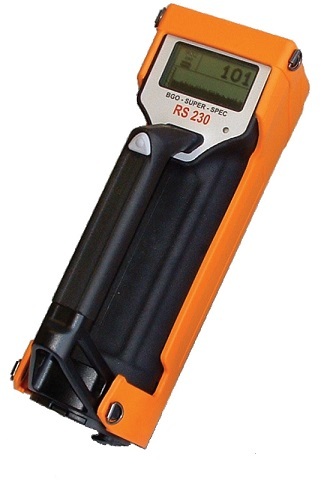 Home » Blog » Introducing the High Accuracy RS-230 BGO Handheld Gamma-Ray Spectrometer! It is the industry standard in portable handheld gamma ray survey devices for geophysical, mineral, and geologic applications. This spectrometer offers an integrated design with a large BGO detector, direct Assay data, data storage, full weather protection, ease of use and the highest sensitivity in the market. It is ideal for field exploration. Easy to use Bluetooth (BT) Connectivity provides wireless connection to a Bluetooth enabled external GPS receiver, earphone or computer. This handheld BGO Spectrometer is an easy-to-use instrument for universities, research, field mineral exploration, and many other applications.